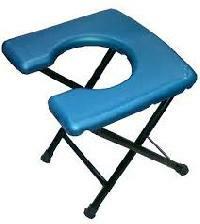 Available in CRC.Plastic shoes.Cushion seat with cover.Available in CRC.Plastic shoes.Cushion seat with cover. 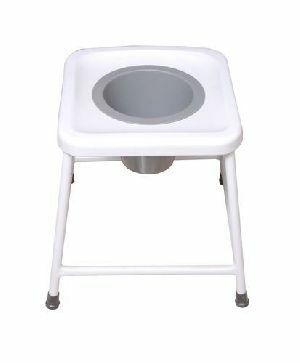 Size : 66 L x 45 W x 60 H cms. 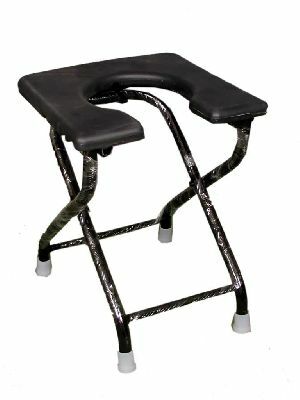 Pre-treated and epoxy coated finish. 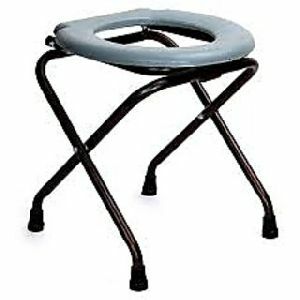 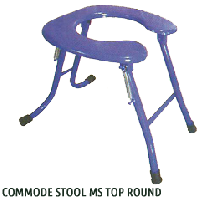 We are offering commode stool. 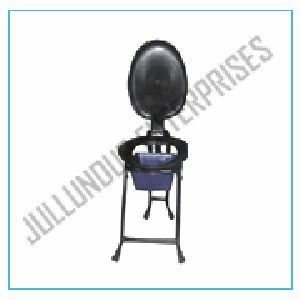 Heavy duty powder cotting blow molded sheet and plastic scwer and round sheet. 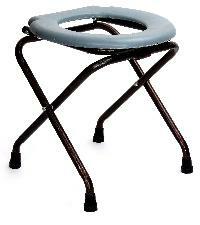 Our Commode Stools are lightweight and durable. 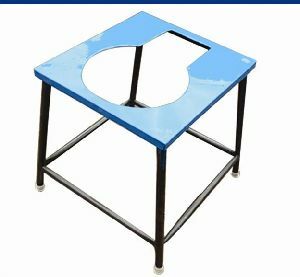 We have the latest equipment and technology for the strict checking of raw material at the initial stage only. 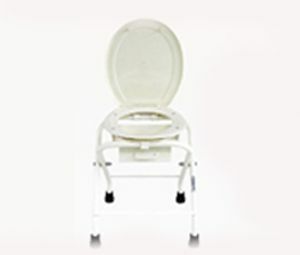 We ensure that prior to manufacturing the material is checked on the grounds of quality. 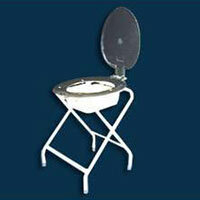 Bulk as well as retail order of the product can be fulfilled by us with ease. 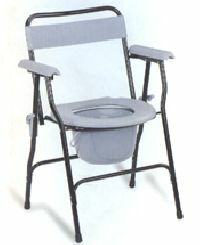 In addition, we guarantee to make delivery as per schedule. 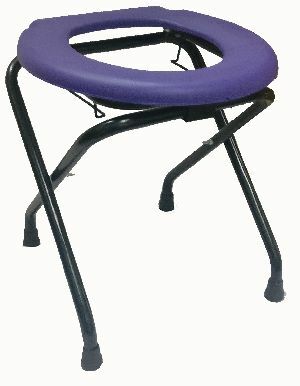 Made from high quality steel pipes and channels.Seat made from high quality aluminium sheet.Easy to fold, carry and store.Reduced dimensions when folded.Smoke gray colour and best quality of enamel used.Available in 4 variants.Made from Gas &Mig welding. 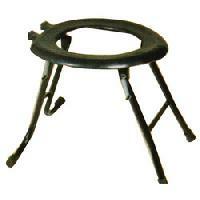 We are tagged as a prominent name for manufacturing and supplying of Folding Commode Stools from Gujarat, India. 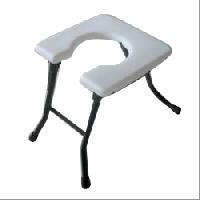 We make use of only quality-tested raw material for manufacturing the product. 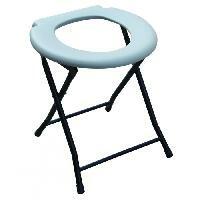 The complete range is made as per leading industry norms. 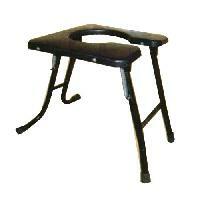 The product is widely acclaimed owing to its qualitative feature sand cost effectiveness. 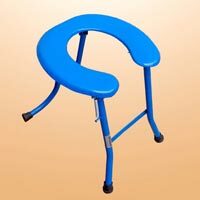 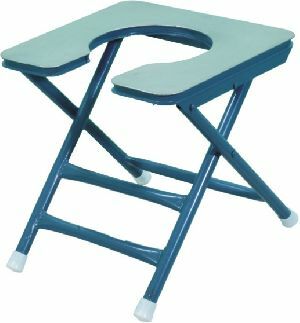 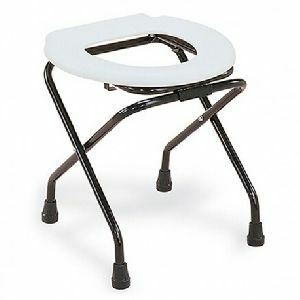 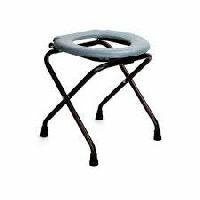 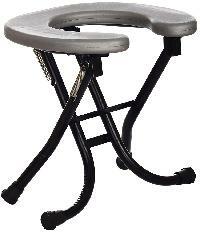 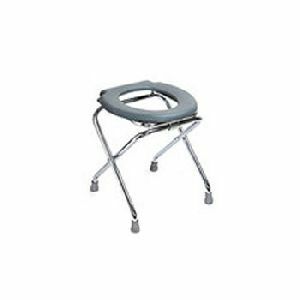 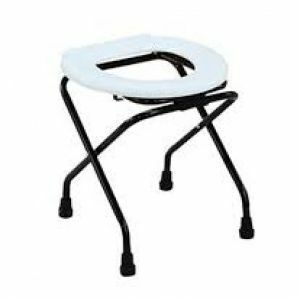 Buyers can approach us for availing Folding Commode Stool with CRC Top. 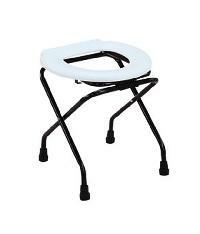 We are offering commode stool pvs injection moulded sheet black colour foldiebal hight 16" 1" pipe.